The Scotia Rewards program is one of the most popular travel rewards programs within Canada, offering incredible flexibility, by allowing you to redeem Scotia Rewards points for travel which has been booked through any travel service or website. Your Scotia Rewards points can be redeemed for travel costs such as flights, hotels, car rentals, cruises and more. That means you’re never limited by airlines, seat restrictions or blackout dates. You can also book travel with the Scotia Rewards Travel Service and take advantage of its Best Price Guarantee on Airfare for up to 24 hours after booking. If that sounds like what you’re looking for from a travel rewards credit card, here’s everything you need to know about how to earn and redeem Scotia Rewards points. 22.99% on cash advances (including balance transfers, Scotia Credit Card Cheques and cash-like transactions) 4 Scotia Rewards points per dollar on the first $50,000 spent at eligible gas stations, grocery stores, on dining and entertainment and 1 Scotia Rewards point per dollar spent on other purchases. 22.99% on cash advances (including balance transfers, Scotia Credit Card Cheques and cash-like transactions) Earn 5,000 bonus points ($50 value) with your first $500 in everyday purchases in the first 3 months (valid until February 28, 2019). Earn 1 Scotia Rewards point for every $1 spent on purchases. 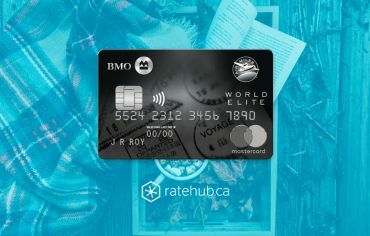 22.99% on cash advances (including balance transfers, Scotia Credit Card Cheques and cash-like transactions) 4 Scotia Rewards points per dollar on the first $100,000 spent at eligible gas stations, grocery stores, on dining and entertainment and 1 Scotia Rewards point per dollar spent on other purchases. 22.99% on cash advances (including balance transfers, Scotia Credit Card Cheques and cash-like transactions) Earn 5,000 bonus points ($50 value) upon your first purchase (valid until February 28, 2019). Earn 1 Scotia Rewards point for every $1 spent on purchases and 5% cash back on travel purchased through Scotia Rewards Travel Service. 22.99% on cash advances (including balance transfers, Scotia Credit Card Cheques and cash-like transactions) 1 Scotia Rewards point for every $2 spent on purchases. *Only purchases earn Scotia Rewards points. Points are not awarded for cash advances, Scotia Credit Card Cheques, Scotia Rewards Dollars, returns, payments, casinos and gambling, annual membership or card fees, interest charges or service transaction charges. 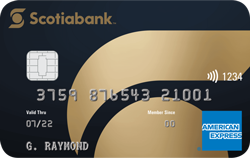 Our top pick in the Scotia Rewards program is the Scotiabank Gold American Express Card. 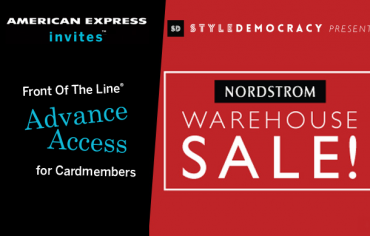 The Card has a $99 annual fee (with an interest rate of 19.99% on Purchases and 22.99% on Cash Advances) and, until February 28, 2019, comes with a bonus of 15,000 Scotia Rewards points ($150 value) upon approval when you spend $1,000 in everyday purchases in the first three months. Scotia Rewards points do not expire as long as you are a Cardholder and there is no limit to the number of points you can earn. One of the unique features of the Scotia Rewards program is that you’re not restricted to booking travel with specific airlines or hotels. You can book travel through the Scotia Rewards Travel Service, a full-service third-party travel agency and pay for travel charged to your eligible Scotiabank Credit Card using only points, partial points with the other portion charged to the Card or a complete charge to the Card. If you prefer to book on your own with the ‘Apply Points to Travel’ feature, you can purchase travel using your Scotiabank Card, wait for the purchase to show up on your account, and then apply your points towards the travel purchase. If you’re an existing cardholder and want to redeem your Scotia Rewards points, simply log into the Scotia Rewards program site: https://www.scotiarewards.com/en-CA. From there, select “Apply Points to Travel” to see all your eligible travel purchases. Any eligible flights, hotels, car rentals, etc. paid for with your Program Card will be displayed. Some bus and train charges are also eligible and may be displayed. You can redeem points for trip expenses charged for up to 12 months after the travel purchase date. You will have the option of redeeming Scotia Rewards points to apply towards the cost of your travel purchase at a rate of $1 = 100 points. The only restriction is that the minimum you can redeem for travel is 5,000 points ($50). Once you use your points to cover a travel purchase, your account will be credited to reflect the redemption. Visit the Scotia Rewards site for more details and conditions that apply to each of the above. In addition to travel related rewards, cardholders can redeem points for the latest in technology and merchandise from the Apple and Best Buy catalogues available through the Scotia Rewards program. There are also brand-name merchandise rewards where you can find everything from household goods, to jewellery, to accessories, or a large selection of prepaid gift cards. Points can also be redeemed for credit on your account. What’s more, the Program just recently added the option of converting Scotia Rewards points to SCENE points and vice versa. Visit the Scotia Rewards site for more details. As our top ranked card in the Scotia Rewards program is the Scotiabank Gold American Express Card, we’ll use it to demonstrate the rewards you can earn from the Scotia Rewards program. 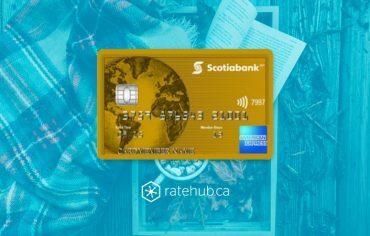 With the Scotiabank Gold American Express Card, you receive 4 points per dollar for the first $50,000 in purchases you make with the Card annually on gas, groceries, on dining and entertainment and 1 point for every $1 spent on all other purchases (including purchases over the $50,000 cap). *For illustrative purposes only. Actual spending will vary and will depend on account usage. No wonder the Scotiabank Gold American Express Card is considered one of the best credit cards in Canada. The ScotiaGold Passport Visa is not affiliated with the Scotia Rewards program. Earn a bonus of 15,000 points ($150 value in travel savings) with your first $1,000 in net purchases in the first three months. Earn 4 Scotia Rewards points per $1 spent on gas, groceries, dining and entertainment. Earn 1 Scotia Rewards point per $1 spent on every other purchase you make. Use the card and book travel through Scotia Rewards Travel Service, a full-service travel agency. Redeem points to cover the cost of any travel-related expense paid for with the card. Use points towards technology, merchandise, gift cards or statement credits. No airline restrictions or blackout dates on flights. Annual interest rate 19.99% on purchases and 22.99% on cash advances. 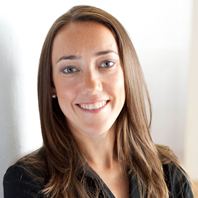 This credit card program is issued and administered by Scotiabank. American Express is a trademark of American Express and is used by the issuer pursuant to a license.